Let us relieve you of one of the more unpleasant maintenance chores in your home. Spare your tooth brushes and knees by letting us brighten your ceramic tile and grout. We will restore the natural beauty of your tile and grout quickly and economically using a specially developed tile and grout cleaning solution with state–of–the–art cleaning equipment. Once cleaned we can apply sealer to the tile and grout to protect it’s like-new appearance. If you are selling your home, we highly recommend having your tile & grout cleaned for a low–cost way to add sparkle and shine! We are happy to serve Sacramento area customers in Sacramento, Carmichael, and surrounding cities..
We use highly sophisticated equipment and techniques to clean your carpets thoroughly. We can solve problems with stains, odor, and bacterial contamination as well. With professional tools, we tackle your most difficult tile & grout cleaning and restoration issues. We'll make your tile and grout look like new again! Preserve the beauty and life of your hardwood floors. 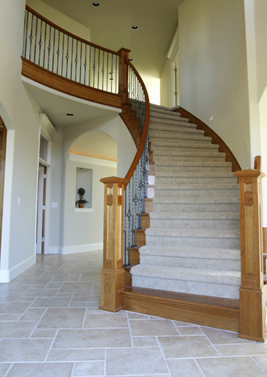 With professional maintenance you can double or triple the life of your floors before they need refinishing. We are more than a cleaning company. We are a full service flooring company - we sell, install, repair, and clean all types of flooring and carpeting at Heirloom Flooring Gallery in Carmichael, CA. Come see our showroom!